The Goulburn Broken CMA has developed an app that helps identify fish, frogs, birds and reptiles found within the catchment. 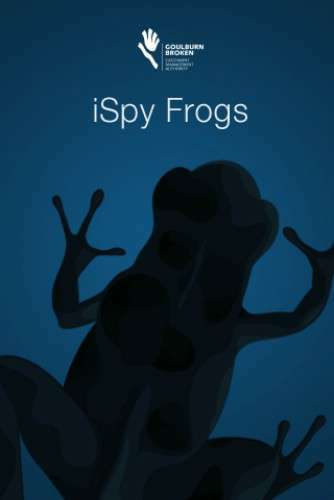 The iSpy Catchment Creatures app allows anyone to record a sound, take a photo and map where the species was sighted. If you're not quite sure what the species is, there is an easy scroll-through menu with clear pictures to help identify what you are looking at. Anglers, campers, bushwalkers, kayakers out enjoying our rivers and wetlands are well placed to observe how waterways and wildlife respond to changes in climate, environmental water delivery and rehabilitation works. Information captured by app users will help shape these and other future catchment management decisions. The app can be downloaded for free from Apple and Android stores for your smartphone or view the web version here. If you have any questions or comments regarding the app, please contact the Goulburn Broken CMA Shepparton Office on (03) 5822 7700 or email us.